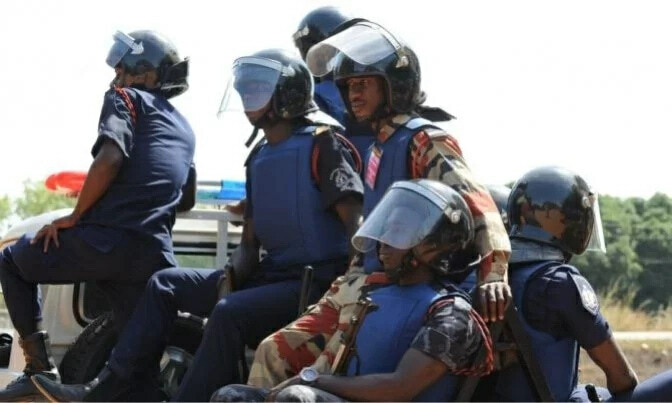 The Commander of notorious vigilante group affiliated to the New Patriotic Party in the Ashanti region, Delta Forces, has confirmed that three of the seven suspected armed robbers killed at Manso-Nkwanta by the Police are NPP members who belong to the group. Speaking to Hello FM in Kumasi, the commander known as Bamba stated that he was surprised by the killing of his men adding that they are known members of the party. The three were part of seven suspected armed robbers gunned down by the Police on Tuesday. The Police claim they only returned fire after the suspected robbers shot at the police patrol vehicle which had been deployed to the area to track down some armed robbers who had shot and killed a police officer last week. According to Bamba, the members of the Delta Forces were on an errand when they were gunned down by the Police. “Truthfully the boys are our boys, they are NPP boys who are part of the Delta Forces and some of them were even recently in Koforidua offering protection for some of the candidates and delegates. The killing of the suspected armed robbers has created tension in the Ashanti regional capital with residents fuming that some of those killed are not armed robbers. Speaking to Starr News, Fatima said her brother who was one of the seven killed by the Police was out with some friends when the incident happened. She is accusing the Police of attempts to cover up the crime scene after they noticed they had killed innocent civilians.